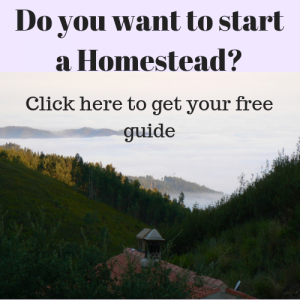 Home » Homesteading for beginners » Starting a Homestead In a Remote Area. Once you have decided to start your own Homestead one of the questions will be: where are we going to start our Homestead? 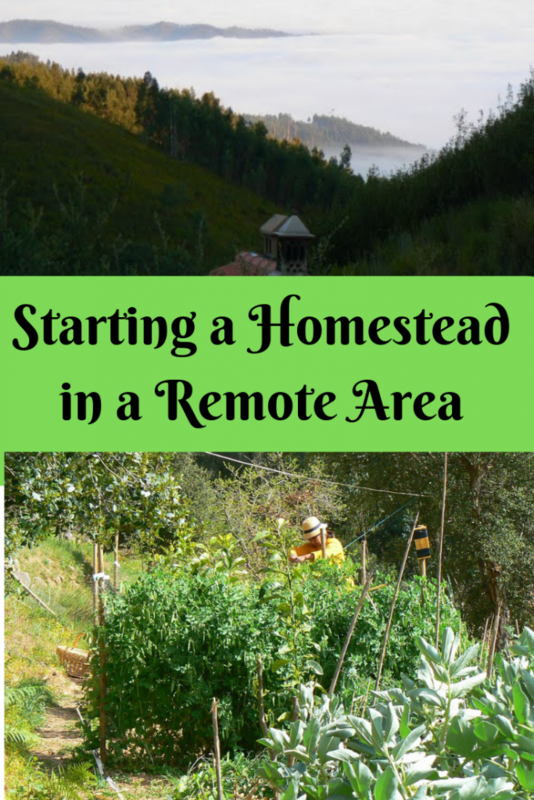 Are you thinking of starting a Homestead in a remote area, please read on. Sure, I would not want to stop you from doing so. We did move out into the countryside, far from the city buzz and pollution. And we enjoy it very much. There are some things you really should consider though. Making the wrong choice here could make your dream more challenging than you thought. If you do choose for remoteness you better be prepared for the challenge. So when you have this itching tendency to get away as far as possible from where you are now, this is why you should not follow that feeling blindly. By the way: our place is about 6 km (15 min) from a small town and 20 km (45 min) from a bigger town with more facilities and shops. The roads are of a good quality. The area is very low populated. We are just far enough to have the remote feeling and close enough to have excess to what we need. Ones you are out in your Homestead you will be self-sufficient, that is why you do not need a shop any more. Wouldn’t that be ideal? Yes, I agree. But how realistic is it. Just look around in your house and you will know. Screwdrivers, screws, plates, jars, batteries, solar panels, building bricks, hinsches, saws, they do not grow in trees. And even if you are a handywoman like me, you will not be able to make everything yourself. Especially at the beginning. You will be lucky when your vegetable garden is a success in year one. Your just planted fruit trees will only carry enough fruit after about 6 years. How are you going to get your trees for planting? What are you going to eat those first years? The remoter you are the harder it becomes to get your Homestead going. Being in the mountains or living on the water can make it even harder. Even if your ultimate goal is to be totally self sufficient you will still need a shop every now and then when that time comes. It is an illusion to think you will never attend a shop anymore when you move out. The contrary might be the case. In the first years we travelled many kilometers to find all our building material. We have a big vegetable garden, but some years we simply do not manage to maintain it well enough because of all the activities on the farm. Like improving the goat shelter, making fences and taking care of our fruit trees. So some times of the year we use the vegetable shop to keep us fed. Although we have a lot ourselves, we still buy things from the supermarket. Every month we spend some 200€ in the supermarket. It might not be a lot, but we still have to go there. The same counts for the animal feeds, it is very hard to get all the feed from our farm, so we buy extra. It all pays back at the end. Which brings me to another consideration. Whether it is milk, cheese and eggs or handicraft. You will have to travel to the people to sell your products. Even if it is only to the local post office to ship your goods to your clients. If you want to live from your farm and sell some products you will need some clientele that lives not to far away from you. Being on a remote Homestead might mean you have to travel long distances to sell your things, which might not make it worth doing. In that case making a living becomes a real challenge. 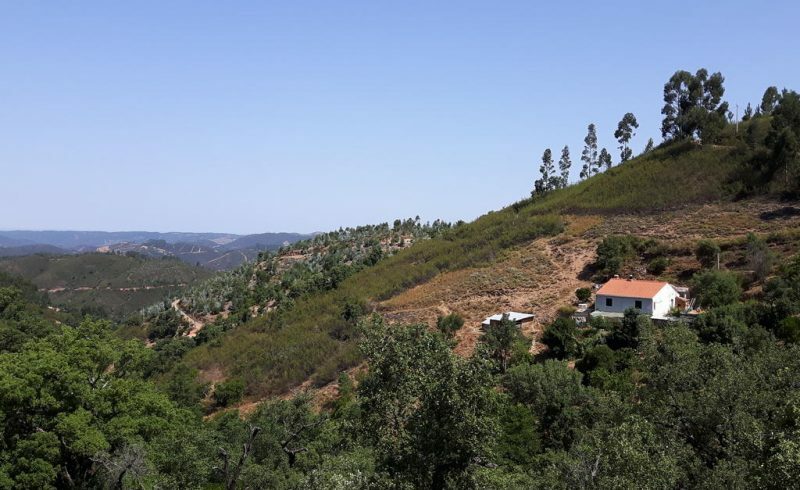 II am very happy our farm is just a 15 minutes drive from the small town of Monchique. This makes running a market stall every Friday to sell our produce very possible. We combine it with a Friday social lunch in one of the towns lovely restaurants and it makes it into a pleasure. Many Homesteaders in the area where we live do small jobs for others. Like land maintenance, rental management, garden work or dog sitting or other things. Maybe you had something similar in mind. If so, consider living not too far from the people you want to work for. Here in the mountains the windy roads consume a lot of traveling time. A friend, whose land I can see from the top of our land lives 45 min driving (walking takes even longer) away. When you live in a big city, driving to your work in 45 minutes is not an exception. But be prepared to find the same kind of driving times to your work in the countryside. Going too remote will make these kind of jobs very hard to persevere. I gave up my rental management activities because the driving from one property to the other simply costed to much (unpaid) time. Now I am running my blog partly from home and partly from an office in the small town. My internet is too costly to run it all from home. There is always hurdles to take when you live remote, but I am happy as it works now. A thing that might have crossed your mind is selling stuff through the internet. Which is very possible if you are doing some sort of affiliate sales or if you provide a service. You do need to make sure that there is internet reception in your place. There are some pretty good satellite facilities. But they will most likely be more expensive than the internet provider that you are used to. Ones you have internet you could also run your mobile phone on it. But do not expect any phone reception in remote areas. When you want to live remote it is all going to be far away. A doctor and a vet (in case you want animals) can be needed in an emergency. It is a good thing to check whether they are around. The very friend that lives 45 min drive away, one time was unblocking her water pipe with an iron rod. It got stuck in the pipe and she tried to pull it out of the pipe. It suddenly came loose and drove right through her knee sticking out the other side of her knee. She managed to get it out herself and drive herself to the hospital. She was incredibly lucky. With a bit less luck she would have died in her remote place. Which is in the end only 10 km from the small town. Imagine being really remote. I realise this is a shocking story, but it is a reality to take into account. Working with a chainsaw or even an hand ax is not without danger. I will never use my chainsaw when there is nobody else on the land. I also realise that the distance to the small town which has an ambulance increases my chance of surviving an accident. The example with my friend shows that you do not need a chainsaw to have a bad accident. I was also very happy that I could drive one of my goats to the vet quickly after she had eaten very poisonous rhododendron. Very remote means you will have to deal with these life threatening things all by yourself. I would find that very stressful. When you have children, a daily drive to school can be an effort when the school is far away. It is just another time consuming thing. Time that you would rather like to spend on your farm. Homeschooling is an alternative, but do not underestimate the time that it takes either. Sure it are your kids and you want the best for their future. Homeschooling however can be quite intense when it is combined with running a self-sustainable place. When you are very remote it might also be hard for the kids to meet other kids. Something the kids might also appreciate at a certain age. Some parents around here got really fed up driving their kids around for miles to other kids. Ever heard of cabin fever? Sometimes you just have to get out. Go to town, see and speak to other people. You get so restless that you just have to go. This is called cabin fever. It is well known amongst remote living Homesteaders. I always notice when people have cabin fever. They come by and drink a cup of tea at ours. And chat, and chat, and chat, endlessly. Then they say goodby and go into town just to be among more people. I do not know anybody around here who does not have it every now and then. You might have it too. Some people also like to be involved in social things in town to avoid the cabin fever. They are a member of a church or an association and do some good work in town. So again, being remote means being far away from social activities you might not like now, but also might miss ones you are remote. Coming from a town’s life in a very busy country I do know the feeling of wanting to move out. I had that feeling. And I did move out. I had the feeling that I moved into the middle of nowhere, that feeling changed as things improved around us. It was very funny. 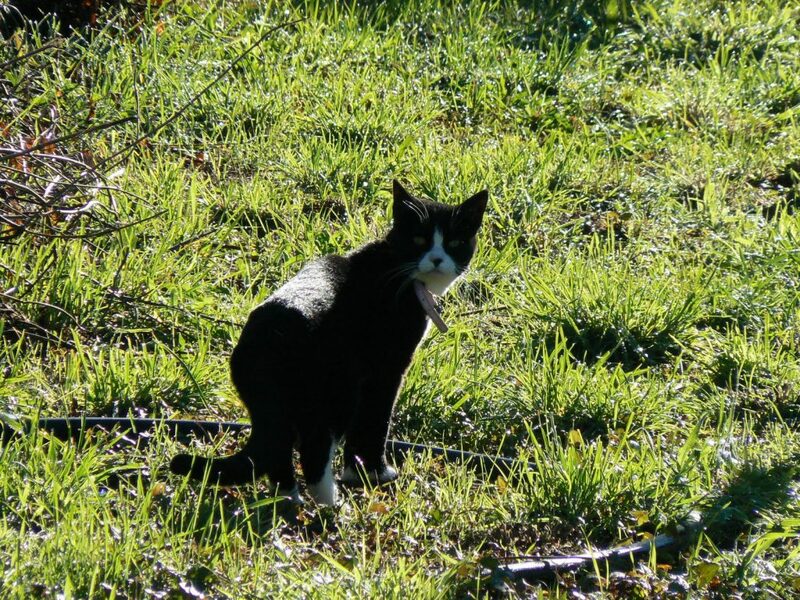 When I came to live on our Homestead I had the feeling I was living very remote. My husband was a lot in Holland still to work and I was a lot on my own. Now my feeling is completely different. The road got improved, neighbours moved in, we have a much more suitable car for this area, we have a proper internet connection, many things have improved. Knowing what it is like to live remote as was the case at the beginning, I am so happy with these changes that brought me closer to the community. It gives me the opportunity to run a business. 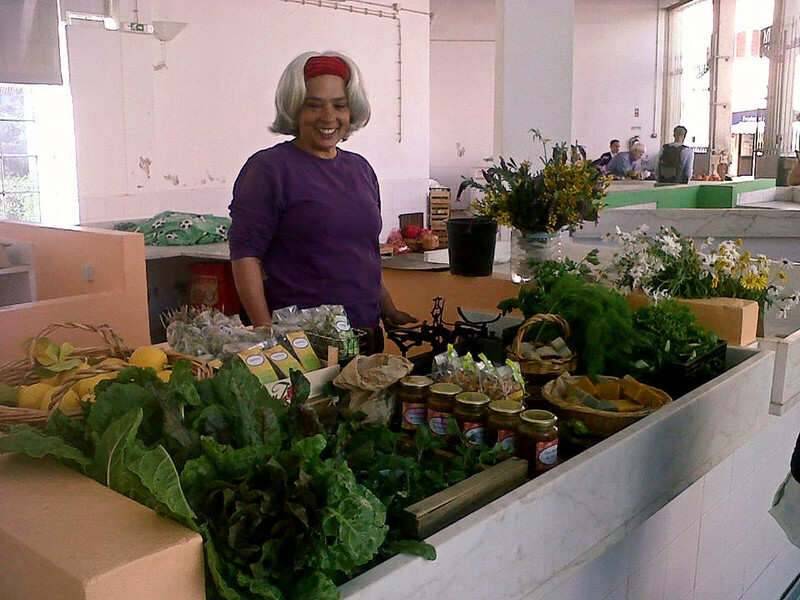 To be able to sell our produce and run my blog makes our chance to keep on living where we are now, so much higher. I enjoy the place where we are a lot. I can see the sea on the horizon, hear the birds singing and breath clean air. It’s golden. If you want to move out into a remote place take the distance have to drive to all that still bind you to a community. Like the distance to the shop for tools or for groceries, the job that you make money with at your neighbours, the vet, the school from your kids and the social events you might want to join. We are more connected to the world we live in then we think. Moving out far is worth considering very careful. Being in the world we are in now moving as far away as we can might seem very attractive, but as it has good sides it has challenging sides as well. It is important te be prepared for this move.